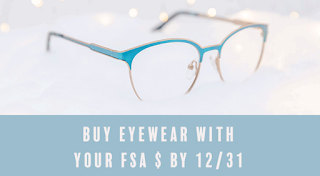 Being Frugal and Making It Work: Don't Lose Your FSA Funds ~ Order Your Discount Contacts or Glasses Now! 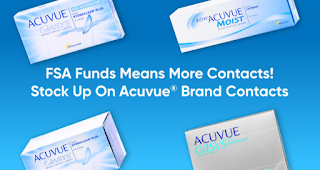 With both DiscountContactLenses.com and DiscountGlasses.com you will find your brand, your prescription, your look! I love the fact that DiscountGlasses.com has a huge selection of stylish frames that are less than $10 each! Need it tomorrow? They're one of the only retailers that can get your contact lenses to you tomorrow with overnight shipping! As an added bonus, when you download the DiscountContactLenses free iPhone App or Android app, you'll get and additional 10% off every order placed in the mobile app! Does anyone in our household wear glasses or contact lenses?